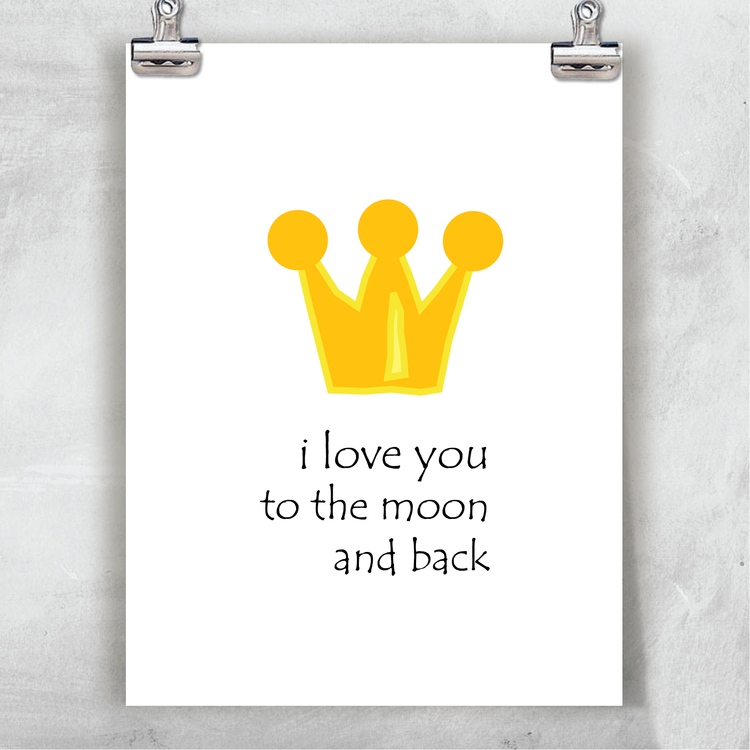 Children poster-"LOVE YOU TO THE MOON AND BACK"
Children's board with different text and motifs. Fits well in a children's room framed or as it is. Why not tape it up with a nice wash tape! Please buy more of our items and create a unique picture wall. Let the imagination flow. 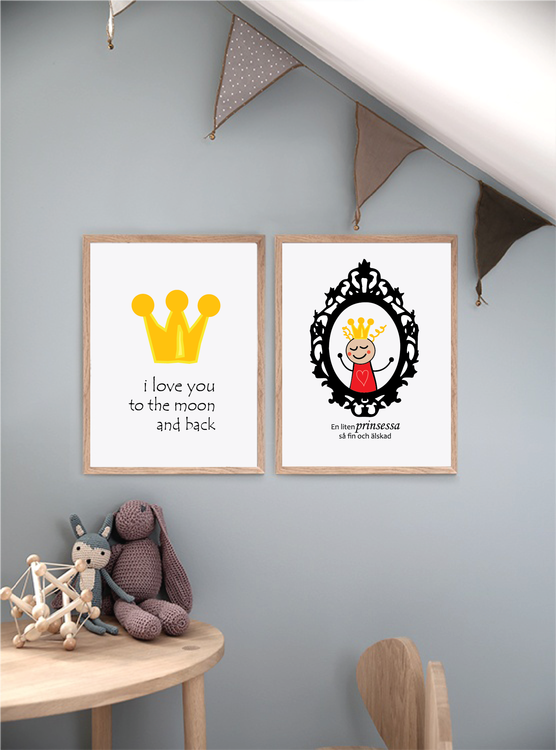 Perfect gift for the baptism, birthday party or for you own little treasure. All items from mi&u design are delivered without frame.
" 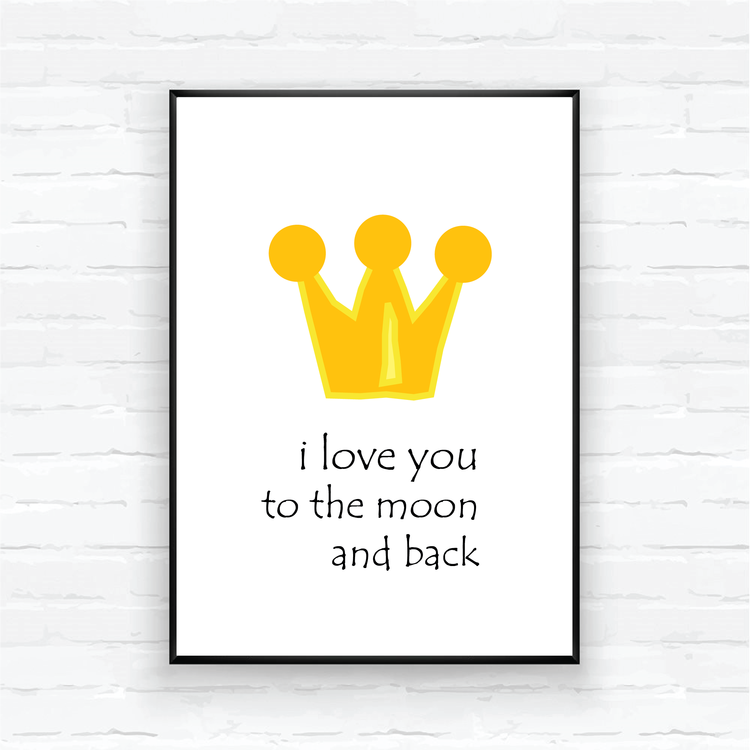 God natt min skatt"
" I love you to the moon and back"
" V.I.P - VERY IMPORTANT PRINS".
" V.I.P - VERY IMPORTANT PRINSESSA"